Why Should I Include A Map in my Book? 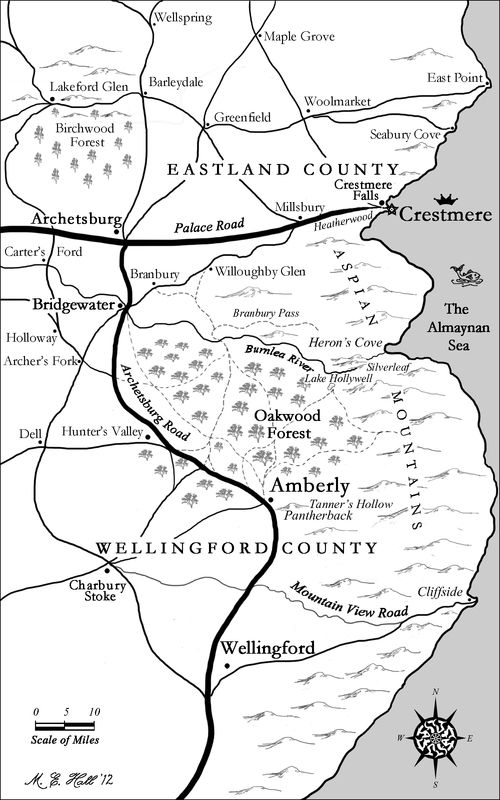 Well-drawn map illustrations add so much to publications, portraying the setting and its style in a unique way, giving readers a sense of era and location before they even turn the first page. It allows them to visually enjoy the story or text you’ve crafted so carefully from words. I don’t know if all readers are like me, but when I read a gripping, well-written story, I’m transported in my mind to a place where I can see the plot unfolding like I’m watching a movie. This draws me in and keeps me reading—because I’m dying to know what happens next! And when I can flip back to a map and “see” the setting in my mind and know what’s where with respect to everything else, I enjoy the characters’ experiences in an even more personal way because I feel like I know where they live and like I’m involved in their lives. I know how far the hero traveled on his tired old horse, or how treacherous the mountains appear that lie between the good guys and safety. How swampy is the swampland? How big is the lake? With a good map, I can visualize in my mind what the author’s trying to convey. When I read Tolkien, I have a feel for both the world he so masterfully created and the culture with which he wants to acquaint me because he drew elegant maps with delightful elements such as rune-style writing, early European type compass roses, and even personal touches like a little spider web in the corner. These are the types of things that tell me an author greatly wants to share his world with his reader. Maps are especially important in books that flesh out historical events, allowing both the casual reader and the informed history buff to accurately place the action and become familiar with the terrain as it appeared during the era in which your account takes place. This is a key element to engaging a reader’s interest, stirring them to want more. A well-drawn historical map will often prompt a reader to look up other maps from the setting in question and want to learn more about the book’s era—which in turn will make them want to read your next one! Dora here. Have you considered including a map in your novel? If you have included an illustration, would you care to share your experience? What type of feedback did you receive? Snatched by coldblooded enemies as a declaration of war, Eleanor Williamston finds herself caught in a deadly snare—miles from home and lost in the wilderness. Her heart is drawn to the handsome guardsman who rescues her, but is torn when he challenges her political ideals. Then she finds out he’s been keeping something from her—and her entire world turns over. Marsten longs for a God-fearing wife, but cannot marry the lady he desires. The sassy young schoolteacher he rescues catches his eye, but he fears she’ll turn out to be like the beautiful women who’ve broken his trust in the past. Journey with them through the spectacular but treacherous Aspian Mountains while they evade enemy pursuit and wrestle through the challenges of wilderness and budding love, only to run headlong into Ellie’s family—and a whole new onslaught of foes.